Riselab – Growth. Efficiency. Stability. With over 40 years of collective experience in direct sales business models, our team at RiseLab is skilled in taking companies to their desired level. We cater to both startups and established companies looking to improve their sales by designing a new-age marketing strategy, implementing interactive training; while systemizing company’s operations to reduce G&A and increase profit, with our proven and innovative methodologies. 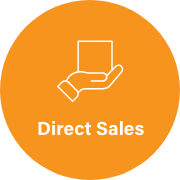 A step-by-step executable plan is implemented to ensure your desired sales goal is attainable and achieved. Analysis and review of current marketing strategies to provide an effective plan that satisfies and motivates the field's needs and at the same time protects the corporate bottom line, while remaining feasible. Private training workshops for corporate staff to help with efficiency, productivity, and time management. In addition to advanced leadership training, comprehensive and interactive field training encompassing industry best practices. Analysis of current operational structure, while transitioning to our touch-less, scalable and automated systems to reduce G&A and increase profit while improving corporate efficiency. We have over 18 years of experience to help you grow your bussiness.